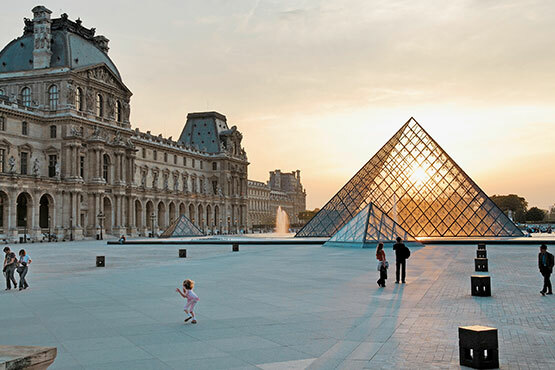 A city trip to Paris is a must, because of the Eiffel Tower, the Louvre or the Notre Dame, for its cultural and entertainment activities, shopping, culinary or the Paris by Night. We love Paris! Explore “the City of Light”. Whether you enjoy the spectacular view from top of the Eiffel Tower, strolling and shopping along the famous Champs-Elysées or take a sightseeing boat trip on the river Seine, Paris will seduce you with its charm. Paris - Transfer airport Charles de Gaulle – hotel or vice versa. Private taxi 1-4 persons or Executive car 1-3 persons. Paris - Transfer airport Orly – hotel or vice versa. Private taxi 1-3 persons or Executive car 1-3 persons. Unlimited travel on all Paris public transport (RATP): Metro, RER, Bus, Batobus, Orlybus, Roissybus, Montmartrobus, Balabus, SNCF trains of the Ile de France. «PARIS PLUS - zones 1 to 3»: Paris and the surrounding area (La Défense, St-Denis, Le Bourget). Unlimited travel on all Paris public transport (RATP): Metro, RER, Bus, Batobus, Orlybus, Roissybus, Montmartrobus, Balabus, SNCF trains of the Ile de France. «PARIS PLUS - Zones 1 to 5»: Paris and Paris, including airports CDG / Orly, Marne-la-Vallée-Chessy (Disneyland), Versailles.